Houston auto service specialist. Complete auto repair and maintenance shop. Quality auto service and discount. We service all trucks, cars, SUVs, vans and motor homes, from simple break and alignment service to engine rebuilding, auto sunroof, windshield replacement and clutch service. Call us at 281-661-8180 to take advantage of our low price and guarantee. We guarantee you will be 100% satisfied with our auto repair. And you will not find a lower priced Houston auto service. We guarantee it. We are Houston auto service specialists for over 50 years. We have been service cars in Houston for a long time so come in today with confidence. Whether you thin your vehicle needs major repair and service or not, we will help you understand the problem and what is required to repair it. Maintenance is routinely scheduled along with inspections and part replacements that your vehicle manufacturer recommends based on the age or mileage of your vehicle. The schedule for performing these maintenance services varies from vehicle to vehicle. 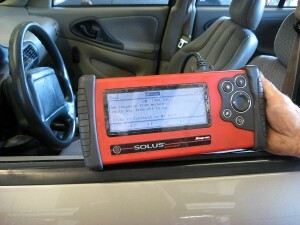 You will find the schedule for your vehicle in your owner’s manual. Following this schedule is the best way to make sure your vehicle is performing as it should. 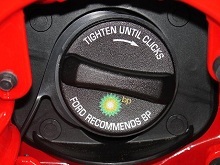 The sensor measures the amount of unburned oxygen in the exhaust and tells the car’s computer how much fuel is in the tank. If a faulty one is not repaired, the car’s gas mileage could drop, since the sensor is sending incorrect information to the car. It costs less than $100 to repair. will evaporate from the car and decrease its gas mileage. 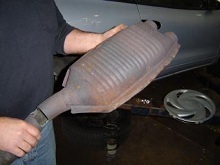 The catalytic converter uses a catalyst — most often a precious metal such as platinum — to convert harmful gases left over from combustion to less harmful emissions.catalytic converters generally won’t fail unless a related part, such as a spark plug, malfunctions, so it’s wise to keep up with the car’s maintenance schedule. 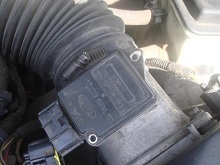 This sensor measures the amount of air supplied to the engine, which determines how much fuel should be delivered. When it malfunctions, it can result in a loss of power to the car, surges during acceleration and a decrease in fuel economy. Spark plugs are small but essential, since they make the car go by igniting the compressed fuel in an internal combustion engine. 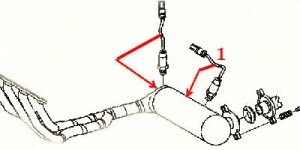 Misfiring spark plugs can affect engine power and fuel economy and can also damage the catalytic converter. Build the trust with 3 years non-prorated limited warranty with each At Ramy’s Garage Batteries we make sure you have all the information you need. We at Ramy’s Garage have expert technicians who have the training, experience, and expertise to provide quality installations and repairs. We will ensure that your vehicles interior and exterior is protected while we work. At Ramy’s Garage you’ll find a friendly staff that has been servicing the Houston Galleria Area since 1957. We are committed to providing you excellent and quality services with dependable warranty for your car or truck and the right customer service. We invite you to browse through our website and learn more about the other services that we provide. 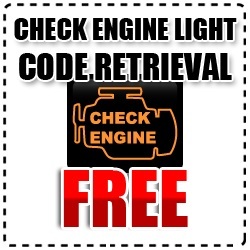 Keeping your car or truck performing at its best isn’t complicated. In fact, it’s as easy as bringing your vehicle back to your Ramy’s Garage where -trained technicians understand your vehicle and have access to the latest technical information. Your Ramy’s Garage is your one-stop shop for complete auto repair garage , major or minor. In addition to routine maintenance like oil changes, your Certified Service can offer transmission service, Ramy’s Garage brake service and even Ramy’s Garage tire service. With properly performed Ramy’s Garage auto repair, you can extend the life of your vehicle and may increase its resale value, plus you may help prevent more costly mechanical problems down the road. For instance, a major drivetrain component of your vehicle is the transmission. Today’s transmissions are technologically advanced and require the skills of trained technicians like those at your Certified Service who can offer comprehensive Ramy’s Garage transmission service. Ramy’s Garage transmission service is just one way of protecting your automotive investment. Another way is by visiting your Ramy’s Garage for a oil change. Oil is the lifeblood of any vehicle, so it’s important to see your Ramy’s Garage for a oil change whenever your vehicle is due. Your Ramy’s Garage can often schedule service convenient hours for you. When it comes to brakes, Certified Service provides complete Ramy’s Garage brake service. Brakes are a critical component of vehicle safety and no one understands that better than -trained Certified Service technicians. Stop in and see your Ramy’s Garage who can offer the right brake parts and Ramy’s Garage brake service for your specific vehicle, giving you added confidence. To make it even easier, you may get offers for Certified Service at your Ramy’s Garage. Keep in mind that when you need tires, think Certified Service. Your participating Certified Service is your source for new tires and Ramy’s Garage tire service. Not only can they recommend the proper tires to help maintain your vehicle’s unique performance characteristics, your participating Certified Service offers expert Ramy’s Garage -from routine rotation to balancing and inflation. Remember, the Certified Service technicians at your Ramy’s Garage are at the ready whenever you need Ramy’s Garage auto repair, a Ramy’s Garage oil change, Ramy’s Garage transmission service, Ramy’s Garage brake service or Ramy’s Garage tire service. Simply contact your Certified Service today to schedule an appointment.